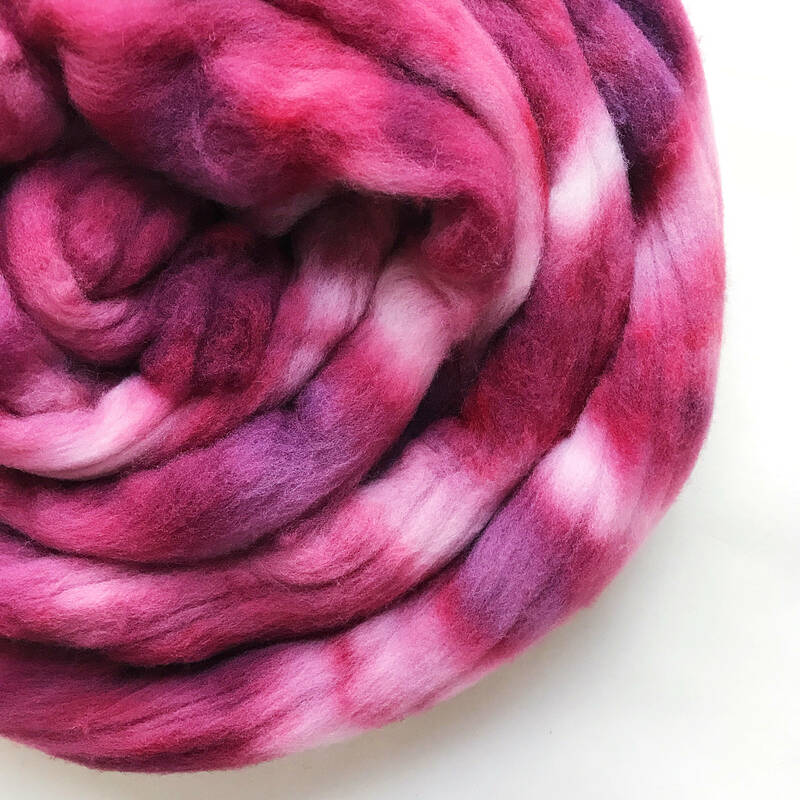 Hand Dyed Wool Roving Fiber Club 3 months. 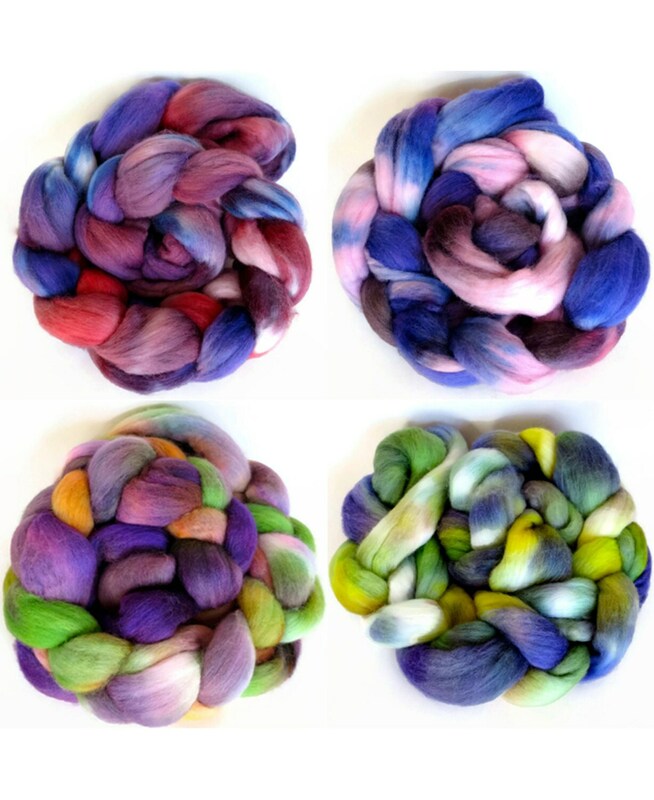 Customizable monthly subscription for Spinning or Felting. 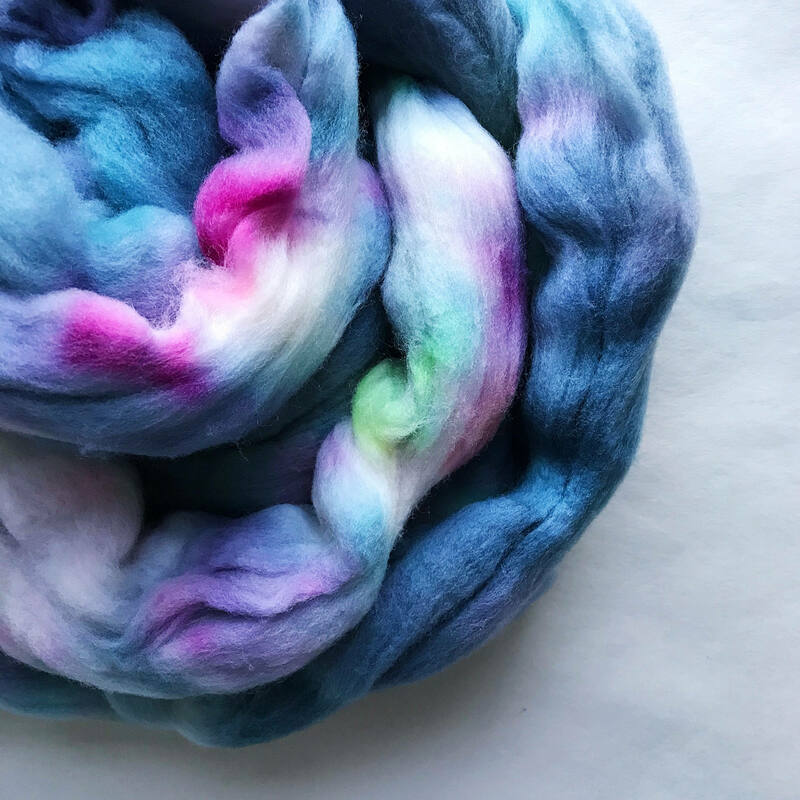 Gift for Spinners, Gift for Crafters. 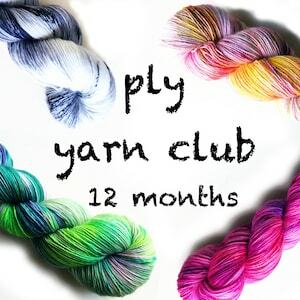 Pancake and Lulu Fiber Club - A great gift for spinners, knitters, felters, fiber artists and crafters. 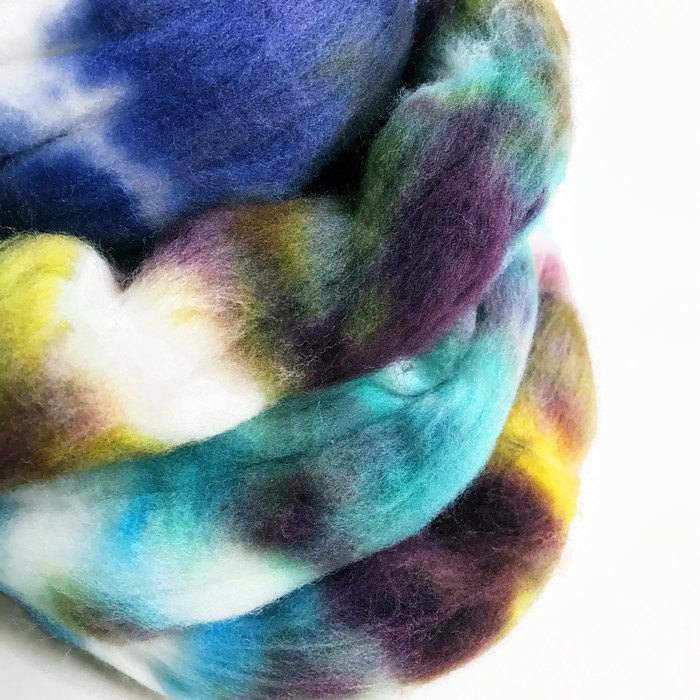 Hand painted merino wool roving. Customizable 3 month membership. New Club Memberships will begin with the next month's shipment. 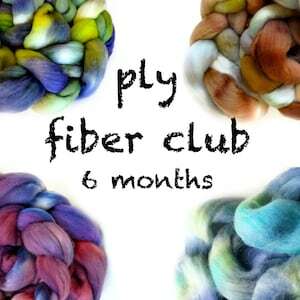 A wonderful gift for yourself or another fiber lover. 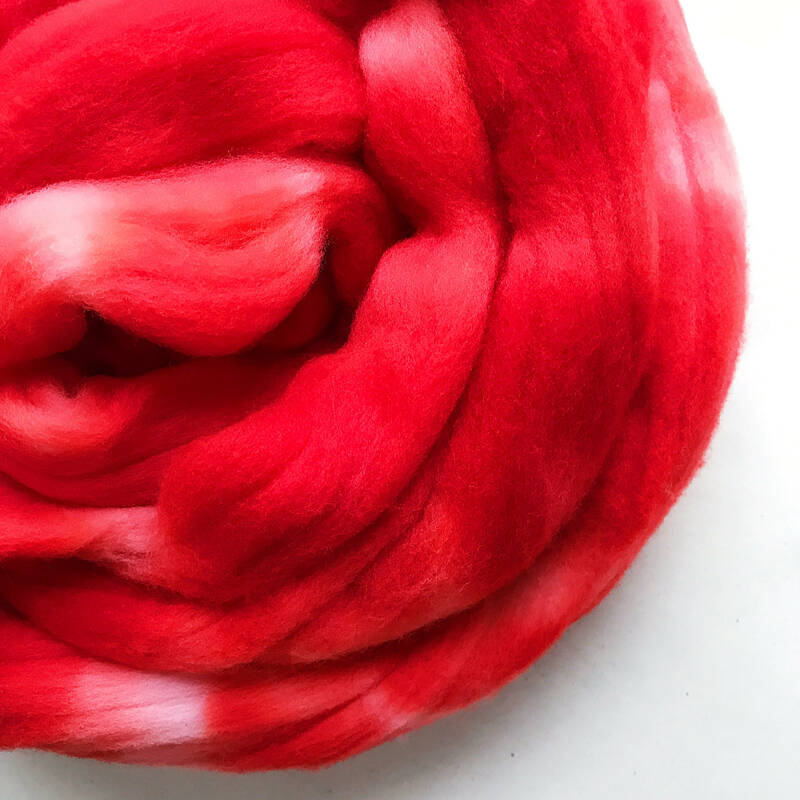 Each month the recipient will receive approximately 3-4 ounces of hand-painted 100% wool roving. 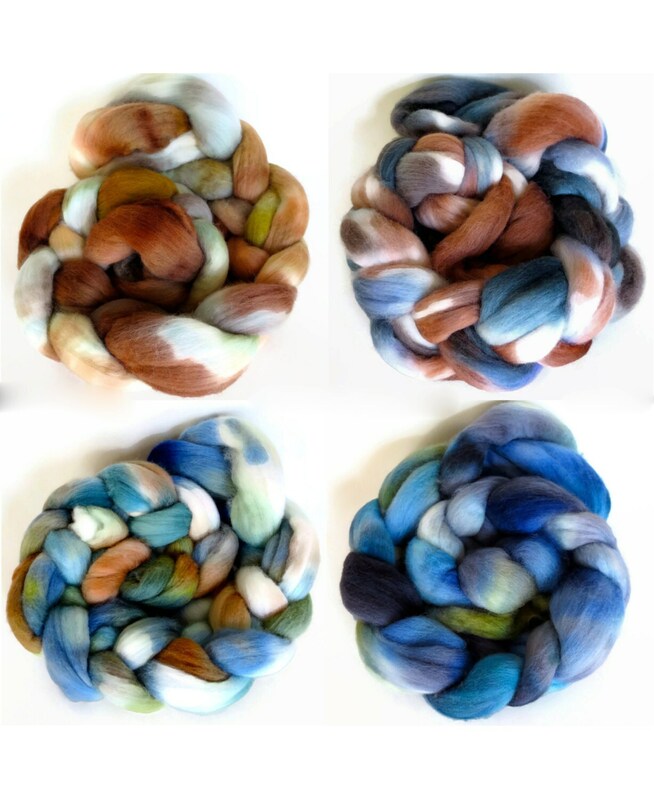 I use my personal favorites: either Merino, Falkland, or other high quality wool. 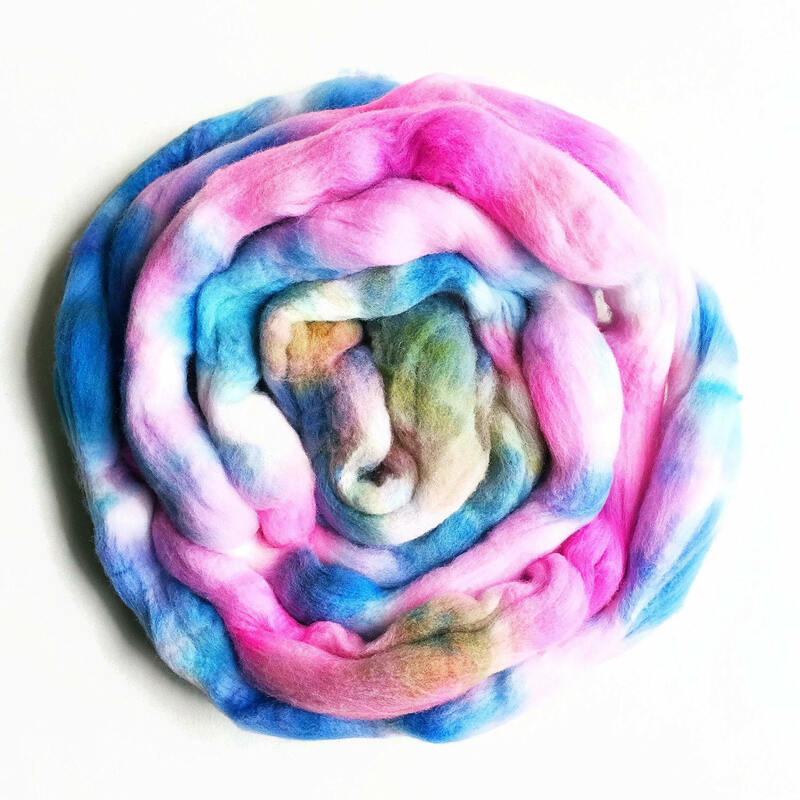 You can choose to receive 100% wool, or wool blends with luxury fibers like silk or alpaca. 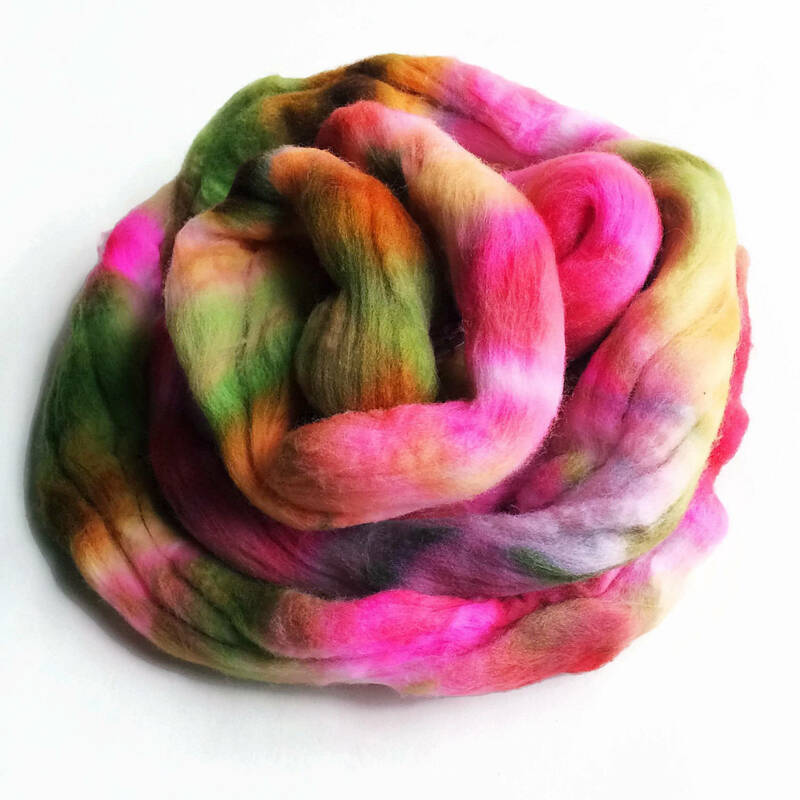 All are lovely, super-soft luxury fibers, great both spinning and felting! Your monthly shipment will be a surprise. However, if you submit color preferences in the "note to seller" box, we can customize the club so you receive just what you want. Also, be sure to tell me if this is a gift for someone else. An email (within 24 hours or I can send it on the date you specify) will be sent to the recipient to announce your gift (please be sure to provide the email address of the recipient). Best of all, you will get a great deal! 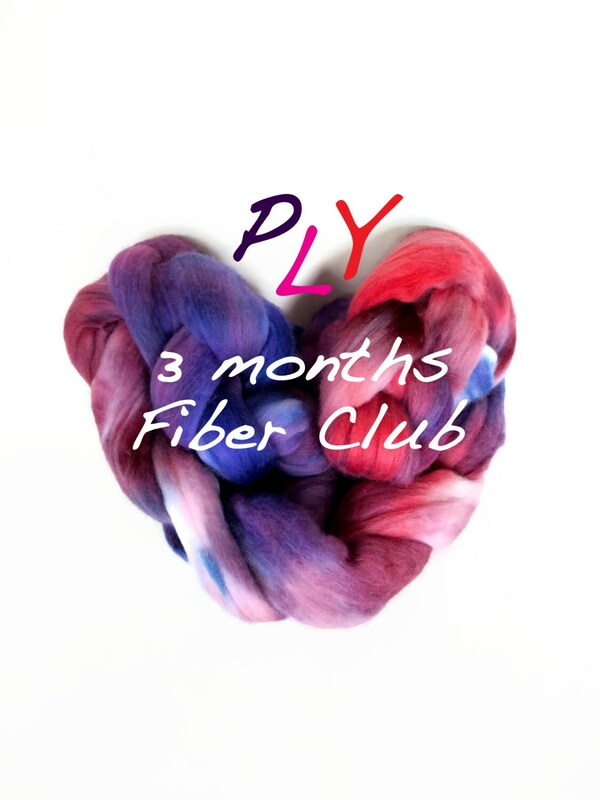 I always make sure my Fiber Club Members receive more for their money--the value of the fiber I send you will be greater than the cost of your membership (and I sometimes add in extra fiber, related goodies or coupon codes.) You will also be the first to receive my newest color creations! The shipping charge is a one-time charge to cover shipping for the entire subscription. Timing for your shipment may vary, but will be shipped before the end of each month. 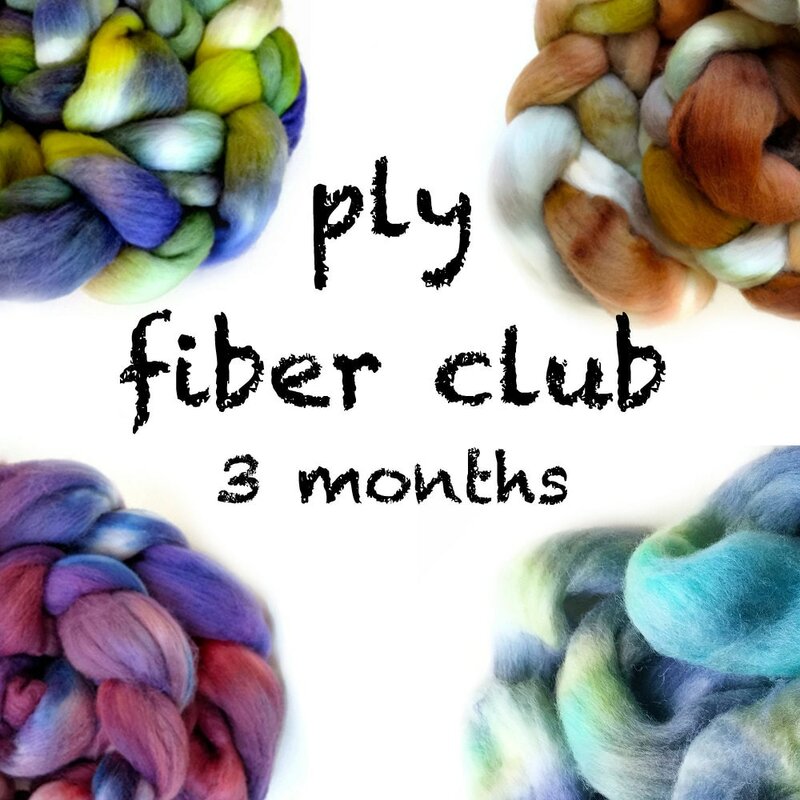 Treat yourself or a friend and enjoy the fun of spontaneous fiber deliveries to your door! Can't seem to get enough fiber? Double your dose of fiber by purchasing 2 (or more) subscriptions at once. 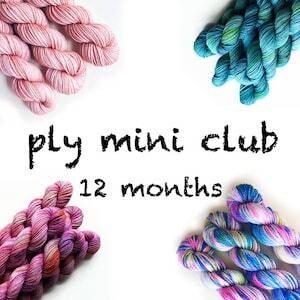 I will send twice (or number specified) the regular club amount in matching rovings each month so you can create larger projects with matching wool. (Shipping overages will be adjusted as necessary).